Fashion trend: the paradoxical term that makes you dislike the pumps you bought a few seasons back without a particular reason. In this extremely digital era is really hard to resist the latest trends. There are so many fast fashion retailers that offer trendy pieces at affordable prices and so many influences who show you how to wear them. Now let’s pop the big question: Where do fashion trends come from and how they start? It seems that the origins of fashion trends date back to the 14th century. Although, the idea behind trends back then wasn’t exactly the same as now. Clothes were used for showing off the wealth. If someone could discard a costume only after a few weeks of wearing, that person was considered rich. The ability to change outfits more often was linked to having extra money and leisure time. The royal family and their close friends had the luxury to own impressive wardrobes. The people who wanted to present themselves as wealthier than they really are would also change looks more frequently. One of the oldest trendsetters is Queen Elizabeth I who dictated the fashion during her reign. In other words, a fashion trend was something that a king or a queen liked. Fast forward to life before the internet, fashion trends were established through magazines. For a long time, fashion houses would promote themselves in fashion magazines which were the main source of style inspiration for people. Nowadays there are many ways to start a trend. The internet, together with powerful social media platforms tremendously changed the fashion game. Fashion trends are set on the runway, on the streets and with the help of celebrities and bloggers. Runway trends are very inspiring to people because of their uniqueness. These trends give people a chance to add a designer touch to their personal style. The term “street style” refers to everyday looks seen on the streets. The street style is especially important during fashion weeks, where fashionistas from all over the world gather in one place. These fashion obsessives show off their best style choices whenever they go. The similarities in their looks soon become the hottest fashion trends. Nowadays celebrities are a driving force when it comes to setting trends. Every move they make is monitored by the public, making it easy for them to start the hottest fashion trends. That is why fashion houses and brands tap famous people as their ambassadors. With the rise of the internet and social media platforms, a new group of trendsetters has appeared on the fashion map. 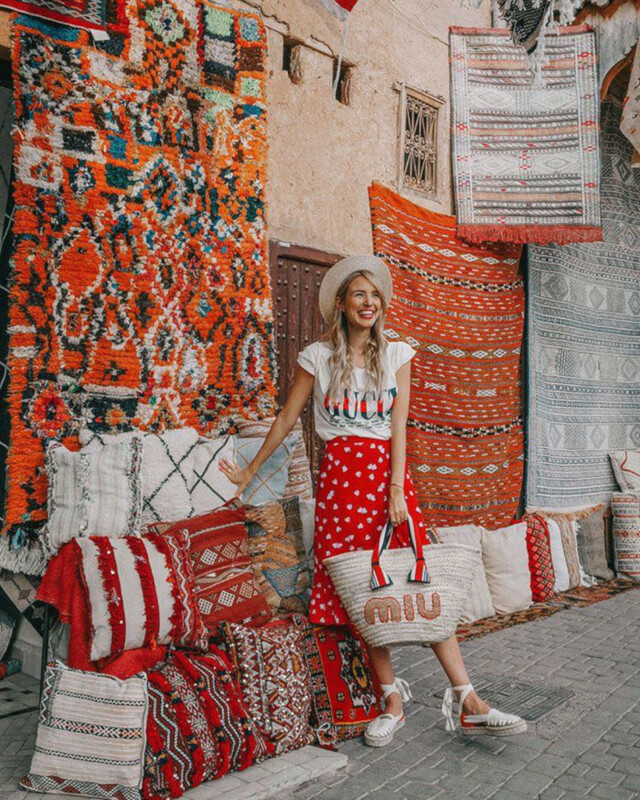 Fashion bloggers and influencers who have their own platforms or a massive following on Instagram also influence the world of fashion. They offer unique style choices and fashion tips to their followers/readers. People love them for their openness and expert advice. Brands and designers are aware of their immense influence and use them as a channel to promote their offerings. As you know, fashion trends come and go. They suddenly become very popular and disappear over time. Old fashion trends often serve as inspiration for new ones. We also witnessed explosive comebacks on some fashion trends, like the ’90s obsession that began last year.